Halloween 2011 @ Cocowalk in Coconut Grove Florida. 16 Minute showing you the energized party goers (Club music only in this video) Halloween 2010 @ Cocowalk in Coconut Grove Florida. 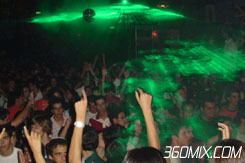 DJ 360MIX performing a Tech House set. Halloween 2010 @ Cocowalk in Coconut Grove Florida. 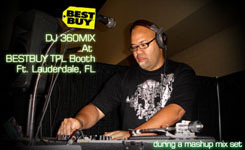 DJ 360MIX performing a Tech House set. Halloween 2009 @ Cocowalk in Coconut Grove Florida. DJ 360MIX performing an amazing house/hip hop/rock mashup set. 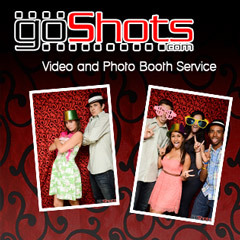 Get a celebrity DJ for less than you thought possible! Show your guest you have style. Don't skimp on the entertainment, It's what people remember the most! 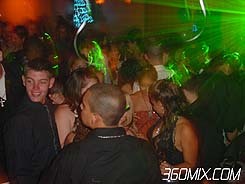 Hello world, I'm George the main DJ for 360MIX. DJing has been my passion since I was a kid. 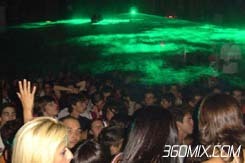 In 2006 I formed 360MIX as my personal website. one year later business grow and I had to turn down events because I was already booked. 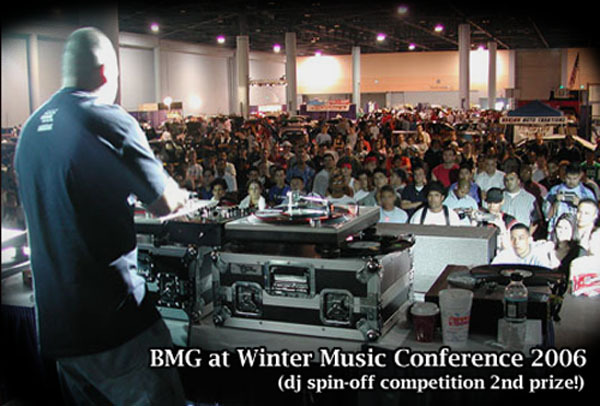 So I interviewed DJs and formed a list of the best DJs in south florida with a total of over 42+ DJs in our roster and 6 Mix Master DJs that will rock just about any crowd out there. See why 360MIX has been the favorite choice for many happy clients and now friends! I offer a NO PRESSURE experience call and talk to me directly, Let me ask you a few questions so we can determine which of our DJ is best for your event and budget. DJ Service for South Florida (Dade, Broward, Palm Beach, West Palm Beach) We will also travel to other counties and states. CD Give-a-ways - Dance off - Crowd Motivator - We get people to dancing. Music collection includes.. 70s,80s,90s,00s and all current music! Most client request standard music styles TOP 40, HIP-HOP, SALSA, MERENGUE, REGGEATON. Other music styles we have (only play if you request it)... Big Band, Booty, Break-Deat, Drum-Bass, Cumbia, Disco, Freestyle, Funk, DC Gogo, Progressive House, Lounge, Tech House, Minimal, Rock, Rap, Reggae, Samba, Ska, Soca, Tambores, Miami Bass, Urban and much more..
Don't worry we play what YOU and your GUESTS want..
SERVICES PROVIDED PARTY PLANNER " ORGANIZER, CROWD MOTIVATOR, DANCERS, MUSICIANS, VIDEOGRAPHER " PHOTOGRAPHER COORDINATOR, LIST OF VENDORS " VENUES TO HOST YOUR EVENT OR WEDDING. DJ Gabriel, DJ Freeze, DJ Carlos, DJ David, DJ Ed Fly,	DJ Alex Romero, DJ David L, DJ Mystique, DJ Lauren, DJ Maya, DJ Mark, DJ Andrew, DJ Ceaser, DJ Jorge, DJ Ernesto, DJ Gabe, DJ Jason, DJ Keys, DJ Lanman, DJ Lester, DJ Rolando, DJ Woody, DJ Sean, DJ Pedro... and 30 More DJs.. Thank you for helping us achieve a Miami Moment at the Plaza of the Arsht Center. You moved us and in doing so helped bring attention to our Arts Education programs, which will benefit from funds raised through GIVE MIAMI DAY. Your talent deserves a round of applause. Thank you for participating in our campaign and for believing in the power of the arts to change lives. Together we showed that philanthropy in South Florida can be fun. We are grateful to have you in our community. Sincerely, Ana Morgenstern Adrienne Arsht Center for the Performing Arts"
"Hi George, Alex was great! He can tell you Scott was really surprised. We pulled it off and everyone had a great time. Everyone danced and ate and it was a success. Thank you for your part. I most definitely would use you and recommend you to friends going forward. 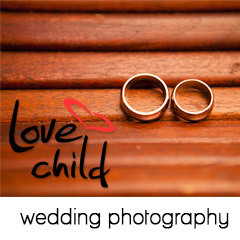 "Professional, punctual and very personable. Definitely would recommend and rehire. Thanks! Via Gigmasters review -Tatiana Carpenter "
Thank you so so much -Silvia "
Thank you so much from a grateful Father of the Bride -Gary Fullman "
" George, Just wanted to say thank you for making my wedding exciting and giving it our own special touch. I know my father demanded allot from you and you delivered like a true professional. My friends are raving about how much you made them dance. Mark says to tell you that he will be calling you for our Christmas party. Thanks again (You can post this on the site) -Janet "
" George, I just want to say thank you so much for keeping everyone happy!!!!!!! It was a pleasure having you there and thanks for being so flexible! Everyone had a blast from 4-75 y/o's, but especially the teens were all moving till the end. If in the future I am crazy enough to plan another party, I will be calling you! Thanks again, you are the best!
" George, I had fun at the wedding my parents and guests are complementing how nice you treated everyone and your attention to detail was amazing. I love the energy you show while DJing and the music selection was perfect. Thank you again - Melinda Jones "
" The Tequesta Trace Middle School Dance was a blast. We will have you back next year! " "Excellent job George! We look forward to working with you more in the future. " -Ricky Neal Carnival Corp.
" The erika's pool party was better then expected. Thank you for the wonderful music - L. Montano "
"DJ George was GREAT!!! We had an 80's party for my husband's birthday and he took us back to past. Very professional and courteous. Would definitely hire him again. " -Adriana L.
The Food Truck Collective, American Express, Coach, T-Mobile, Simon Mall Corp, Princes Cruise Lines, Carnival Cruise Lines, NCL, Royal Caribian, Wendy's Corporation, F.Y.E, T.G.I Friday's. 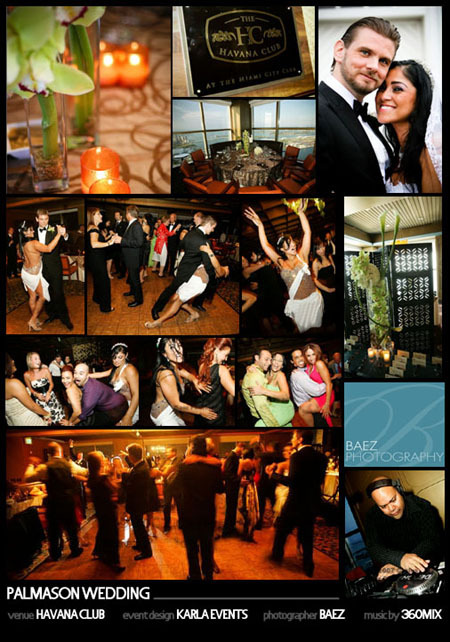 VENUES- The Conrad, Party's By Pat (at the commons),Pier 66, The Rusty Pelican, Baltimore Hotel, Radisson, Ritz-Carlton, Marriott, The Addison, Viscaya, Boca Raton Resort & Club, Weston Diplomat, The Sunday House, The Spanish Monastery, Royal Fiesta, Signature Grand,The Palms Resort.